The belt and buckle are typically Straits Chinese. The belt is fabricated from a network of interlocking rings superimposed on which are small diamond panels and prunus or plum blossoms with chased details. 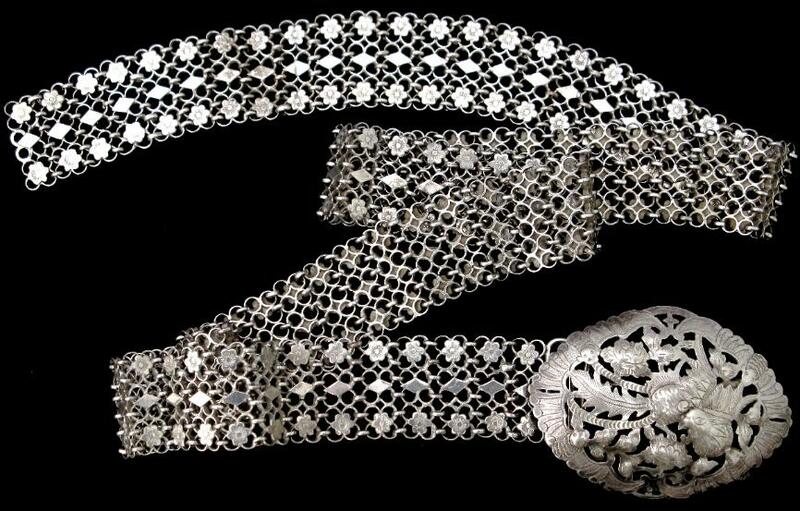 The belt is stamped twice with small and extremely fine ‘zu yin’ or ‘pure silver’ marks in Chinese. 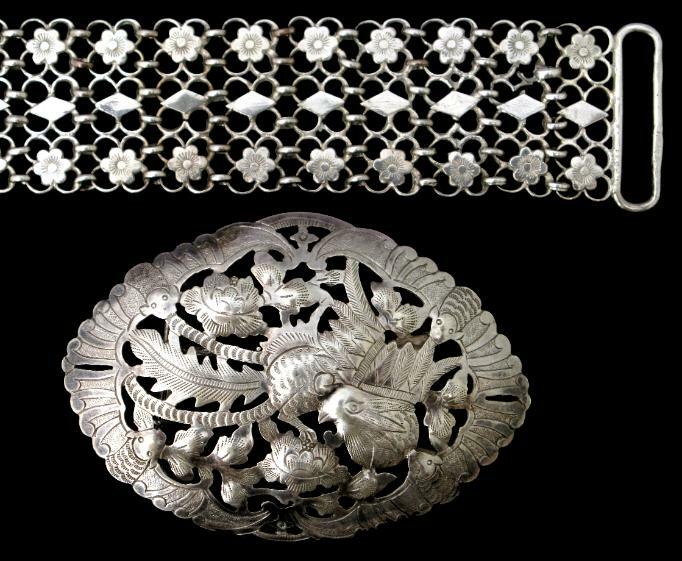 The buckle is of open-work silver chased with a phoenix and peony design within a border defined by four bats and their open wings. The buckle attaches to the belt by means of a hook but the pin to secure the belt closed no longer is present. This could readily be replaced. The belt is identical in form to one illustrated in Ho Wing Meng, Straits Chinese Silver: A Collector’s Guide, Times International, 1984, p. 92. A belt and buckle of identical form is illustrated in Khoo Joo Ee, The Straits Chinese: A Cultural History, The Pepin Press, 1996, p. 225.